The package contains four plasma sensors and one module to support attitude determination. 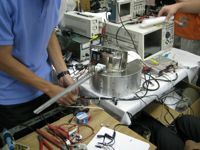 Plasma Impedance Analyzer (PIA): fabricated by OCU. It is an independent payload. Planar Langmuir probe (PLP): fabricated by NCU. Retarding Potential Analyzer (RPA): fabricated by NCU. Ion drift meter/Ion trap (IDM/IT) : fabricated by NCU. 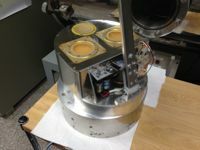 Aspectmeter (ASM): a 3-axis magnetometer, a 3-axis gyroscope, and a 3-axis accelerometer from COTS, fabricated by NCU.